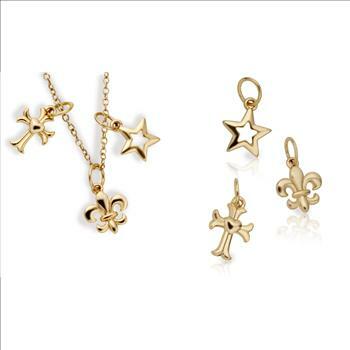 This delicately crafted charms are made of 14K over Sterling Silver . 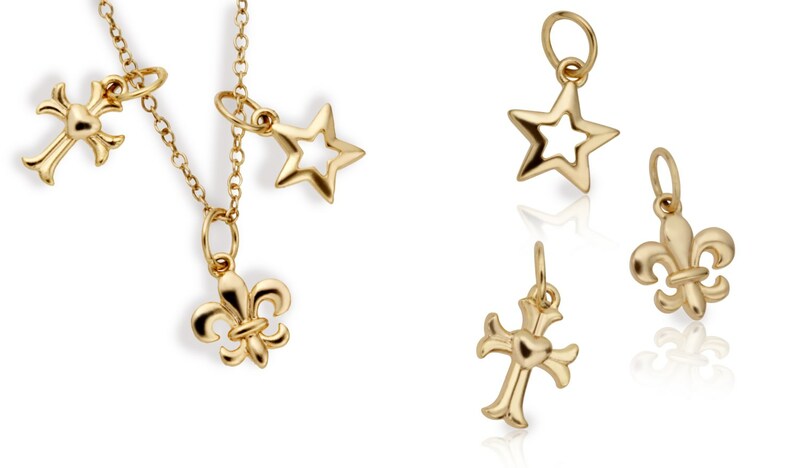 These charms rest beautifully on your breast bone. comes with an 18" cable chain. That ensures a Secure Fit. Bid To Win! Gemstones may feature inclusions or imperfections. Items may appear to be larger or enhanced in photos.